Thread: Who is TFC's mascot? I went to vote for this and there's no option for TFC. I thought Bitchy the Hawk was our mascot. 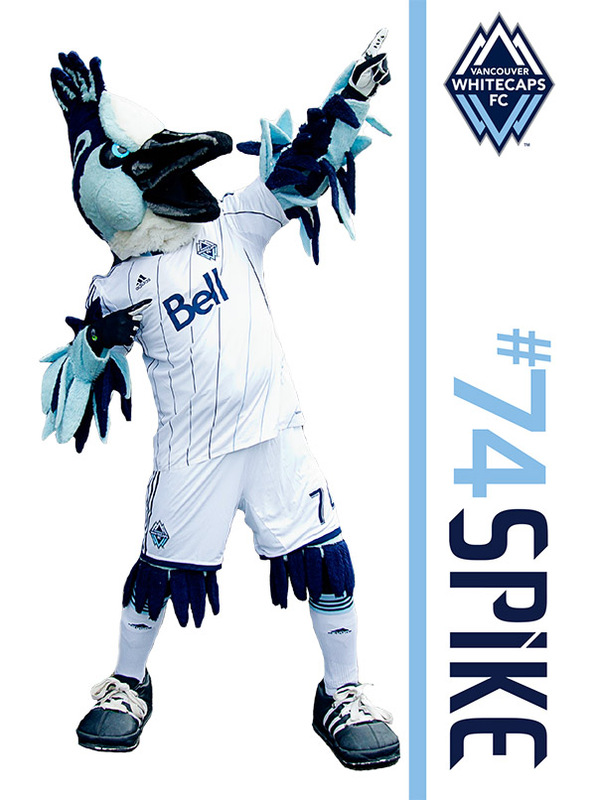 Someone needs to let the pointy foreheads at mlssoccer know. They surveyed us a few years back - I think most of us said no to a mascot. I would love for the Reds to introduce cheerleaders !!! Remember The Man, The Legend, The Goal 5-12-07 and All That #9 Left On The Pitch, Thanks For The Memories !!! Centre of My Bloody Universe. Nope to mascots. I gotta say I'm pretty happy to say TFC doesn't have one. Last edited by Fort York Redcoat; 03-17-2016 at 12:20 PM. Canada Womens Friendly vs Mexico @ BMO May 18th! Get tix in 112! Columbus is NEVER something to be copied. I know the trational footy supporter would not be into this but to attract the average 20 something guy looking for a fun afternoon out enjoying some cold beers with the boys it could be used from a marketing perspective. So find a cheerleading event. The girls (and boys for that matter) would be so much more appreciative of the support that's actually for them instead of a distraction from a sporting event one can't keep their attention on. Your marketing perspective offends me. Last edited by Fort York Redcoat; 03-17-2016 at 12:40 PM. lol thank god we don't have a mascot or cheerleaders. Plastic sh** is for plastic fans. Oh for the love of... NO. At no point during a game do people need to be distracted by anything. I am just curious how other MLS teams involve their chearleaders into their game presentation and where they are situated with the nature of how footy flows. We have bud girls somewhere in stadium or have had in the past, its simply not necessary. What? They've been around since at least 2011. I'm surprised you haven't seen them yet. I remember seeing them at one of the few away stadiums that have them. They were limited in game but have a halftime show. I usually youtube link it but I don't actually want people to see it. If you neeeeeed to know it was 2009 vs Toronto at halftime and it was not something for me. This must be the time I remember seeing them. They were very limited in their role during run of play. Last edited by Fort York Redcoat; 03-17-2016 at 01:25 PM. I personally have never noticed them ever at a MLS game. Out on the patio before and after the game and around the stadium host when they are announcing a Bud give away, usually about 25 minutes before the game. It wouldn't matter to me if every other team in the league had them, they will never belong with football to me. they used to try and lead marches from a couple of the bars around bmo... they may have gotten 10 people at most. Silly mascots are for kids! and the cheerleaders belong to NFL and CFL games cause the play on the field isn't worth watching so you need something else to look at. ... post of the thread..
That's kind of ironic don't you think? I'm pretty sure you would've been at that game and yet you didn't celebrate them then. ...you don't even see them when they are there. It was a comment with a smirk, I typed in MLS Cheerleaders into google and threw it out there for whatever, personally I could care less if I team has them or not. BJ Bird retired to Abbotsford and is getting some weekly exercise down at the rec centre playing indoor.